It was past midnight one steaming tropical night and I was in deep trouble. I remember thinking – How on earth did I get in this situation? 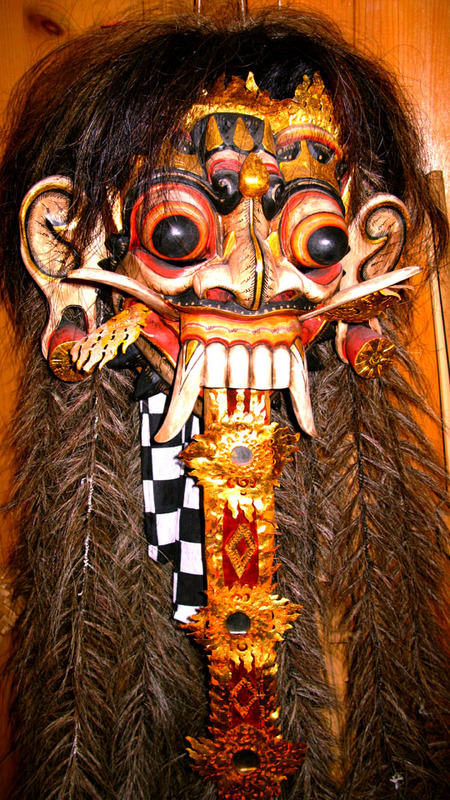 I was surrounded by hundreds of villagers, strangely dressed in weird costumes deep in the mountains of rural Bali. I couldn’t move to the left or the right and I’d been crushed by the crowd for hours, my back and legs ached, I just wanted to sit down or at least stretch ….we were all anxiously waiting. Waiting for what? Ah… Yes I remember. I was deep inside an ancient gold & crimson Hindu temple to witness and document a mesmerizing primitive ceremony held once every 100 years. 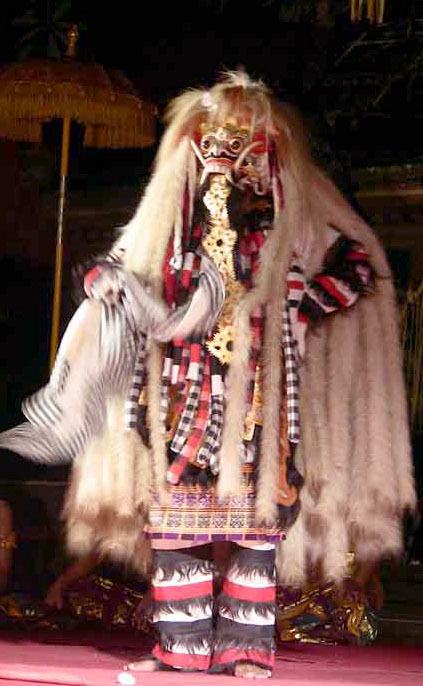 My good friend, Nyoman Wenten, himself a hindu priest, had been asked to perform a sacred mystical mask dance. He asked that I film it. Finally! After hours of waiting two dancers stepped into the courtyard and slowly commenced their lengthy dance. The spirit of the masks seemed to descend into their bodies as they swayed and moved in precision to the exotic strains of gamelan music. Men, women & children from surrounding villages watched with intense fascination and seemed to drift into another realm of consciousness. Pungent incense, fragrant flowers and hanging vines added to the dream-like atmosphere as the dancers continued their fantastic movements. Time seemed to stop as we watched stories that were being told through ancient dance. Finally their spellbinding performance came to an end. Hours before I’d seen a strange figure dressed in white flowing robes and wearing a hideous mask with huge fangs with long matted hair flowing down – He was being led up a ladder to a small perch overlooking the courtyard we were standing in. Who is this? I found out later in a shocking manner who this figure really was! After a short break – heavy drums started to pound, and loud metallic bars were hit with large hammer-like mallets. An electric shock seemed to stun the villagers as the horrible creature I’d seen earlier, came to life and slowly descended the ladder. She’d awakened and was filled with evil and fury as she stood in the courtyard and surveyed the frightened people……this was “Rangda” the evil witch whose pointed fangs , long protruding tongue and vicious claws represents the evil that men face in this world. She stood there a while gyrating and shaking from the deep trance…….and suddenly she sprang into the crowd as children and adults screamed in terror. She held a white cloth with the claws of the left hand. In the melee a man slipped and was touched by the cloth…..he fell to the ground with a thud and shook violently he was deep in trance. Village priests gathered around & hoisted him up and above their heads and transported him to another part of the temple to extract the spirit that had struck him down. I stood amazed at the scene unfolding in front of my eyes and thought, is anyone going to believe what I’ve just seen? Ah yes, the video camera, I filmed most of what I’d experienced.